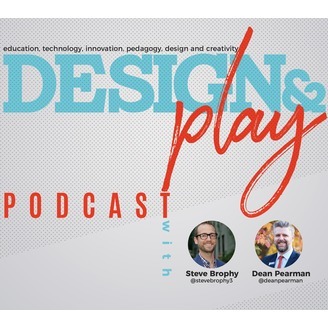 A podcast all about education, technology, innovation, pedagogy, design and creativity. 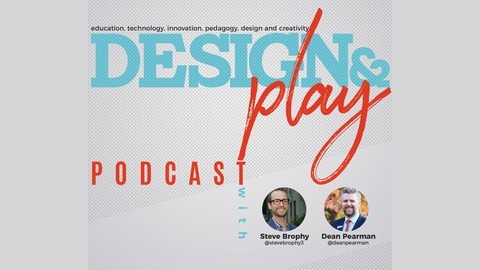 Hosted by Steve Brophy and Dean Pearman. Dean and Steve dive into a rich conversation about the spectrum of creation. Is the technology in our schools active or passive? Is it a set and get or do we put low floor, high ceiling technology opportunities in front of our students? These questions get mulled around as we talk about the relationship between knowledge transfer and knowledge creation. We explore the power of using deconstruction to explore everyday complexity and how this exploration leads to increased curiosity. Deconstructing everyday items and systems helps students to see how parts interact with other parts and the complexity of the interactions between them. This helps students to find areas where there is friction and helps them become better at problem finding. This conversation then leads us to a conversation on information and sensory overload. How are we shutting off in an age of information abundance? We finish off our great chat with a discussion on how might create online learning opportunities that create community inspired action.